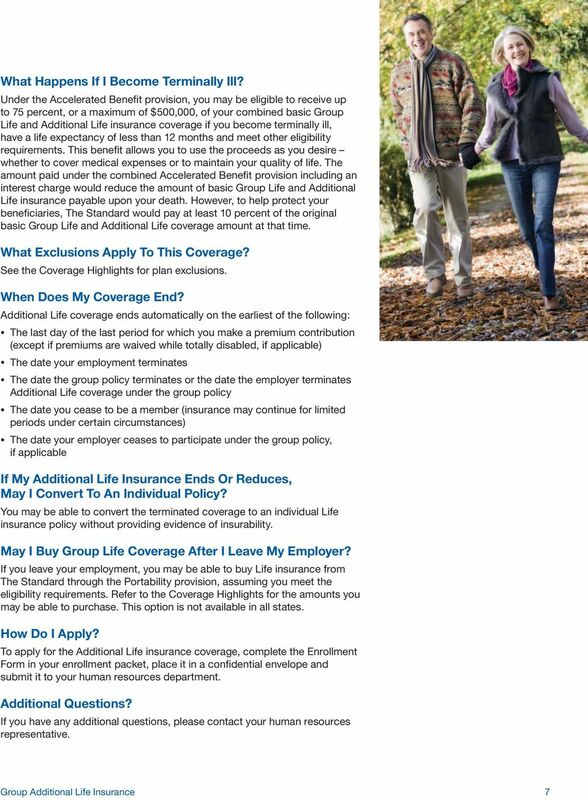 Download "Group Additional Life Insurance"
2 About This Booklet This booklet is designed to answer some common questions about the group Additional Life insurance coverage offered to the eligible employees in your company. It is not intended to provide a detailed description of the coverage. If the group policy becomes effective and you become insured, you will receive a certificate containing a detailed description of the insurance coverage including the definitions, exclusions, limitations, reductions and terminating events. The controlling provisions will be in the group policy. Neither this booklet nor the certifi cate modify the group policy or the insurance coverage in any way. 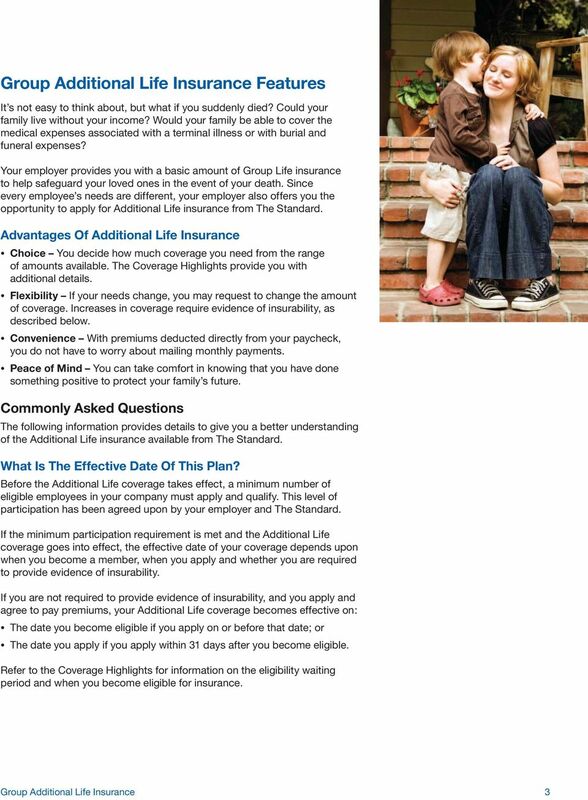 Refer to the Coverage Highlights for additional details about Additional Life coverage. 6 How Are Benefits Paid? Our goal is to make the claims experience as easy as possible and to pay benefits to entitled individuals in a timely, accurate and sensitive manner. Depending upon the approved claim amount, The Standard may either issue a check to your designated benefi ciary as a lump-sum payment or deposit the funds into a Standard Secure Access account. 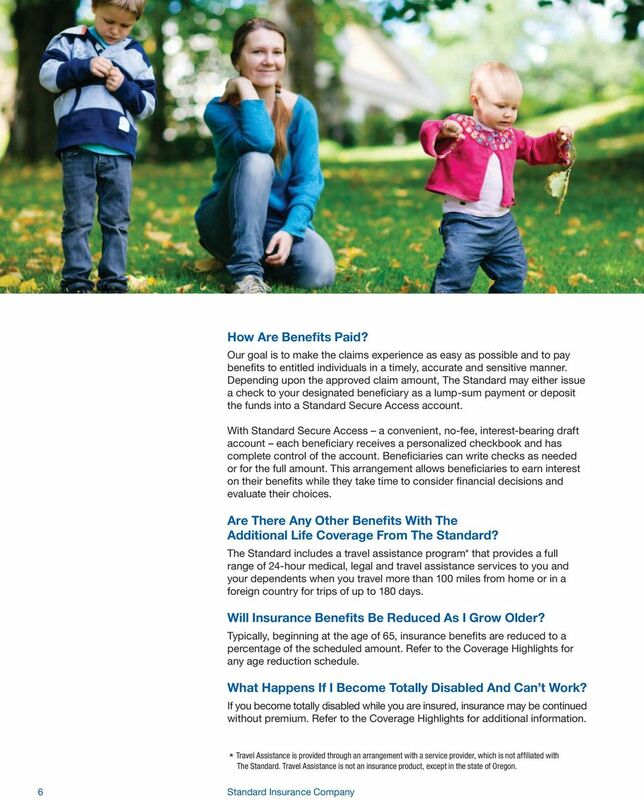 With Standard Secure Access a convenient, no-fee, interest-bearing draft account each beneficiary receives a personalized checkbook and has complete control of the account. Beneficiaries can write checks as needed or for the full amount. 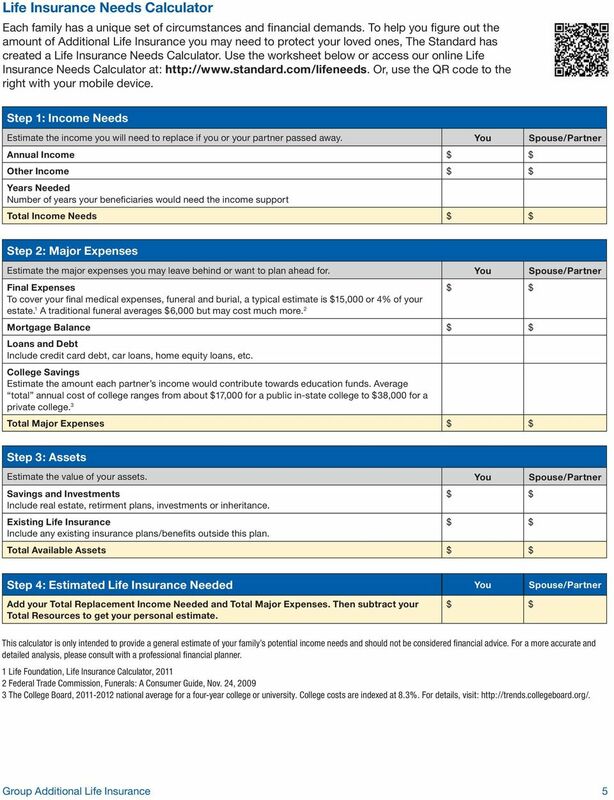 This arrangement allows benefi ciaries to earn interest on their benefits while they take time to consider fi nancial decisions and evaluate their choices. Are There Any Other Benefits With The Additional Life Coverage From The Standard? 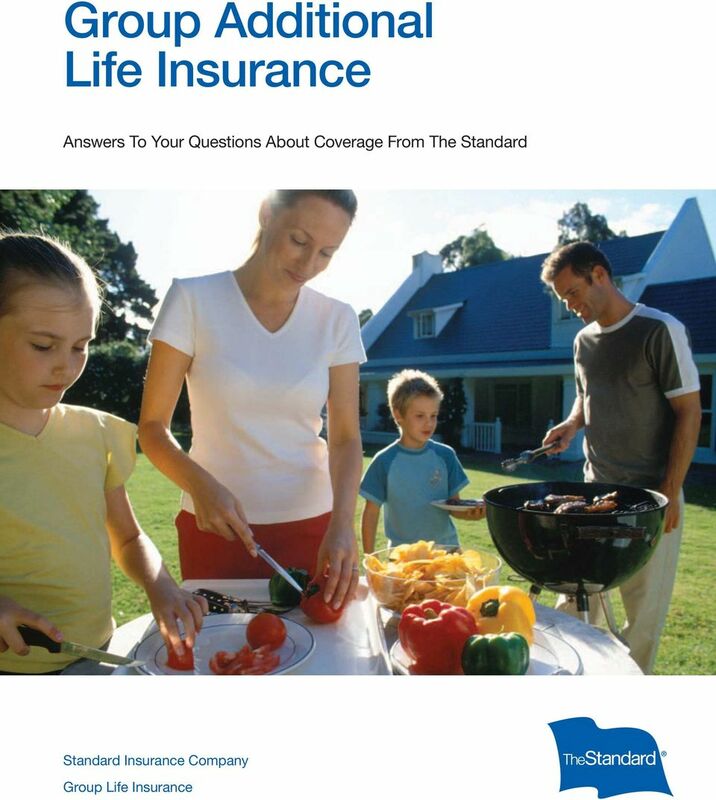 The Standard includes a travel assistance program* that provides a full range of 24-hour medical, legal and travel assistance services to you and your dependents when you travel more than 100 miles from home or in a foreign country for trips of up to 180 days. Will Insurance Benefits Be Reduced As I Grow Older? Typically, beginning at the age of 65, insurance benefi ts are reduced to a percentage of the scheduled amount. 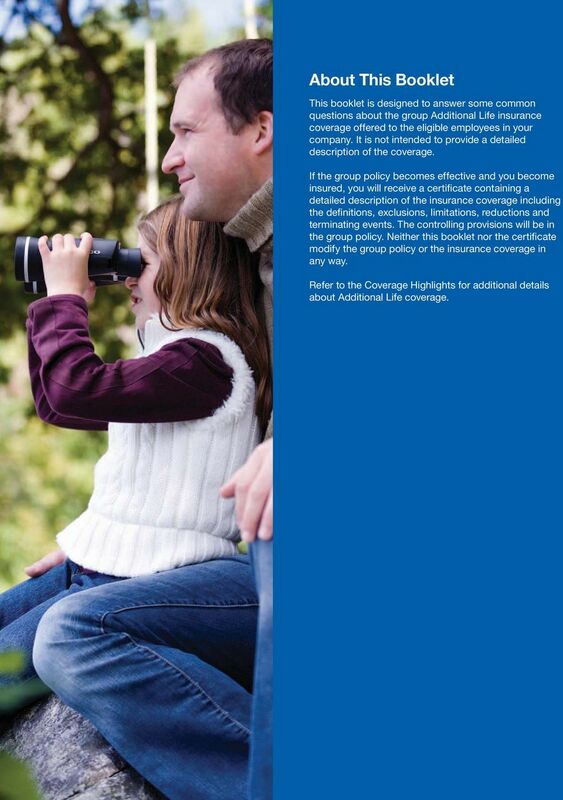 Refer to the Coverage Highlights for any age reduction schedule. What Happens If I Become Totally Disabled And Can t Work? If you become totally disabled while you are insured, insurance may be continued without premium. Refer to the Coverage Highlights for additional information. 6 Standard Insurance Company * Travel Assistance is provided through an arrangement with a service provider, which is not affi liated with The Standard. 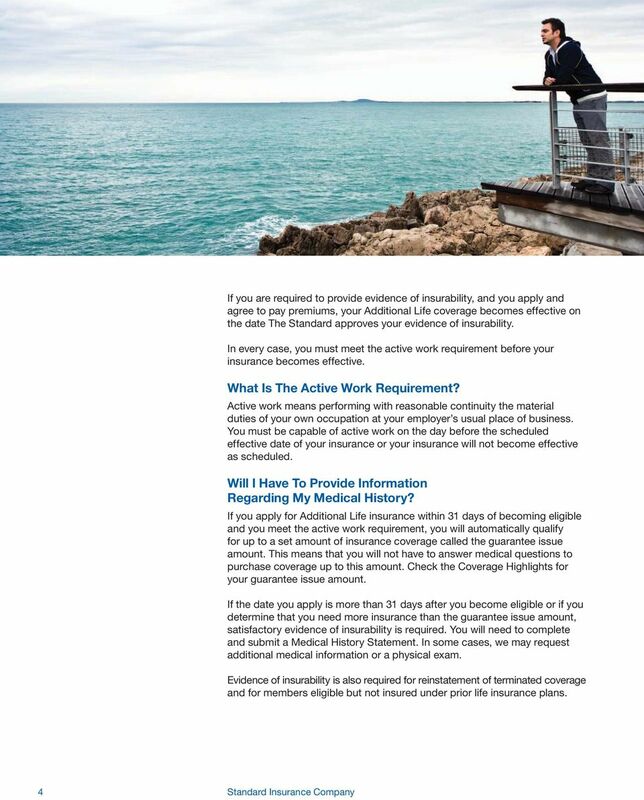 Travel Assistance is not an insurance product, except in the state of Oregon. Housing Life insurance proceeds may be used to purchase a home or pay off an existing mortgage.